The MEDICAL CONSULTANTS s.r.o company was founded in 2012 by MUDr. Peter Latner, MBA in order to consolidate his longtime management and marketing activities in healthcare into one company. Our greatest competitive advantage is the practical experience with management of both segments of the healthcare. We have learnt to search for the mutual synergies and to implement them into the strategic management. Within every project, we offer cooperation based on a consultation or management base. Each project team is formed by top professionals in the given key area. Our motto: "We are able to provide solution for both individuals and corporations." The mission of the MEDICAL CONSULTANTS s.r.o. company is to provide clients with high-quality and professional services in the field of marketing and management of healthcare facilities. To the high expertise and professionalism we also add ethical behavior of the company and its employees. We concentrate on the selection of employees and to ensuring their constant professional development. We want to become an example and through our services, we wish to contribute to building a sustainable, affordable and quality healthcare for all citizens of the Czech Republic. To become the leading provider of marketing and management services in the Czech Republic, using innovations and research. MUDr. 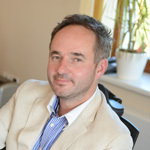 Petr Latner, MBA – in 1997, he finished his studies at the Faculty of Medicine of the Masaryk University in Brno. In 2010, he earned his MBA title with honors at Nottingham Trent University, UK. Since 1998, he has specialized in healthcare facility marketing and management. He acts as a consultant for reputable foreign companies in the field of healthcare services provision. The MEDICAL CONSULTANTS s.r.o. company has created and accepted an ethical code, which defines the principles of ethical behavior of company employees and its external co-workers. The ethical code is a binding document within the company management system.